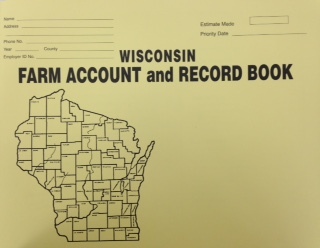 Wisconsin Farm Account and Record Books are now available at the Jackson County UW Extension Office. This paper ledger record keeping system includes a complete, adequate bookkeeping system designed to provide all of the figures needed to prepare farm tax returns and farm profit and loss statement for the year. Please feel free to stop by and pick one up.